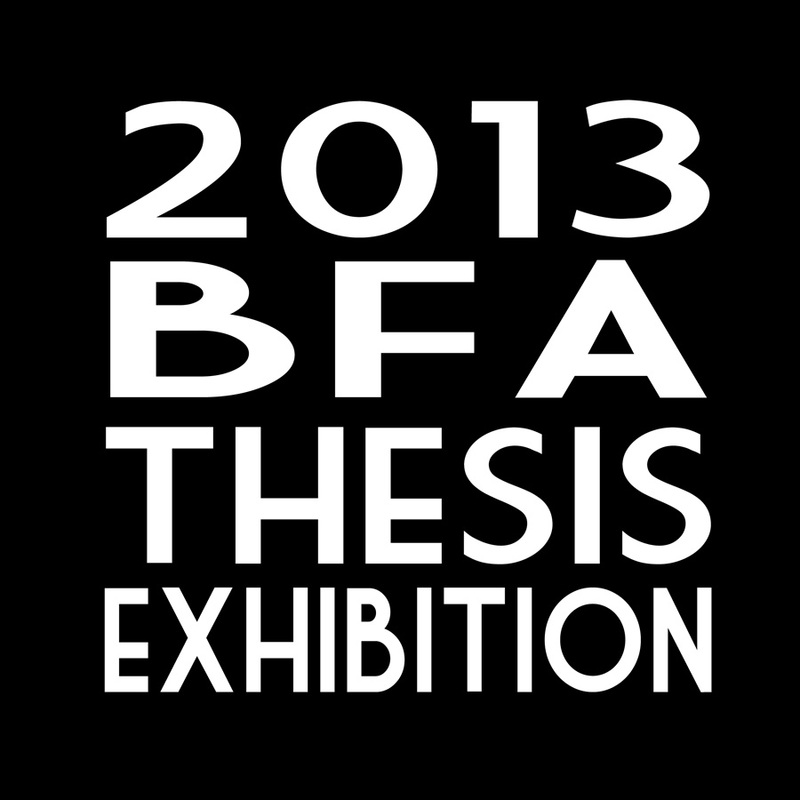 The School of Art at Montana State University will host the 2015 BFA Thesis Exhibition at the Helen E. Copeland located on the second floor of the School of Art in Haynes Hall, Bozeman MT, from Tuesday, December 1 – Friday, December 11, 2015. Opening Reception is December 11, 2015 from 6:30-8:30 p.m. and will be free and open to the public. Gallery Hours: 9 a.m. to 5 p.m., Tuesday, December 1 – Friday, December 11, 2015. The Gallery is free and open to the public. On view will be the thesis works of 11 emerging artists graduating with their Bachelors Degrees in Fine Art. A number of disciplines will be represented: drawing, painting, ceramics, and metalsmithing. For additional information, please contact MSU Gallery Director, Ella Watson at (406) 994-4501. The School of Art would like to invite the public to an exhibition of artwork by Montana State University students graduating with a Bachelor in Fine Art. The exhibition dates are Monday April 15 – Friday May 3, 2013, and it is free and open to the public, Monday through Friday, 9:00AM – 5:00PM. There will be a closing reception on Friday May 3 from 7PM-9PM. The Helen E. Copeland Gallery is located within The School of Art’s Haynes Hall, on the second floor. 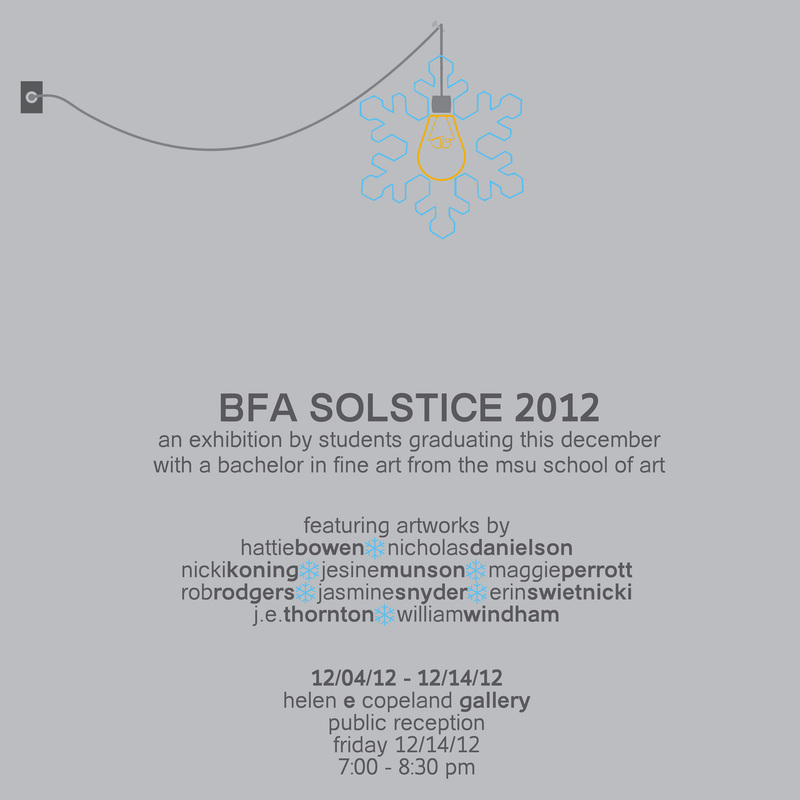 Montana State University School of Art and the Helen E. Copeland Gallery invite the public to the premiere of the BFA Solstice 2012, an exhibition by students graduating this December with a Bachelor in Fine Art. The exhibition features artworks by Hattie Bowen, Nicholas Danielson, Nicki Koning, Jesine Muson, Maggie Perrott, Rob Rodgers, Jasmine Snyder, Erin Swietnicki, J.E. Thornton and William Windham. The exhibition dates are Tuesday December 04 – Friday December 14, and it is free and open to the public. There will be a closing reception on Friday December 14, from 7:00 – 8:30 PM. The Helen E. Copeland Gallery is located within The School of Art’s Haynes Hall, on the second floor and is open Monday through Friday, 9:00AM – 5:00PM. The exhibition dates are Monday April 25 – Friday May 6, 2011, and it is free and open to the public, Monday through Friday, 9:00AM – 5:00PM. 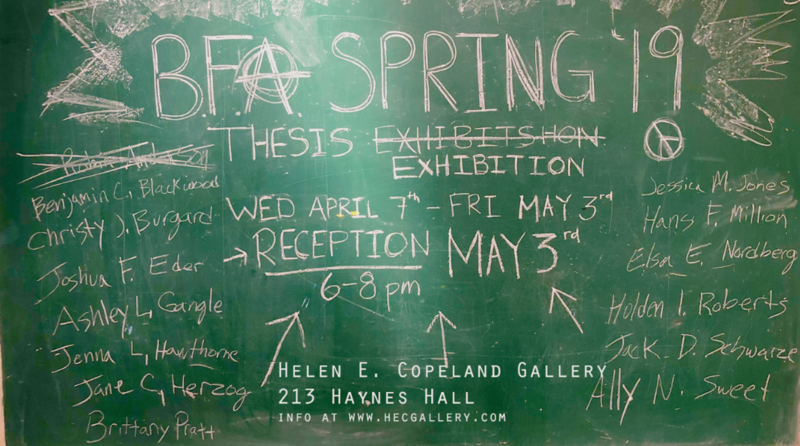 There will be an closing reception on Friday May 6 from 7PM-9PM. The Helen E. Copeland Gallery is located within The School of Art’s Haynes Hall, on the second floor.